A trend that’s as dangerous as it is annoying. The Philippines is home to some driving peculiarities, and these can range from those that are generally accepted to dangerous. For example, most people think cutting in line is okay, as long as their turn signal is on. Generally accepted? Maybe. Annoying and inconsiderate? Yes. Dangerous? Depends, maybe not so much when in stop and go traffic. How about hazard lights in the rain? Not able to indicate turns and lane changes? Downright dangerous. 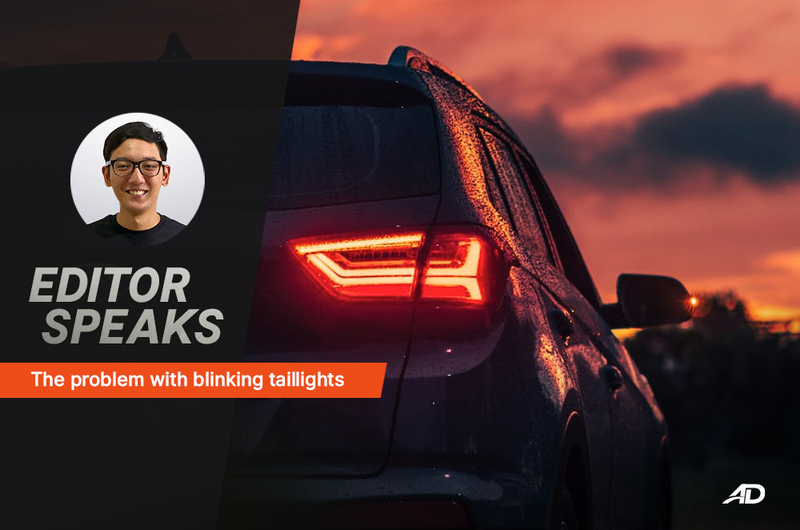 Speaking of blinking lights, let’s talk about a sickness that has been plaguing some vehicle owners: strobing or blinking brake lights. Here’s the real deal, okay; constantly blinking brake lights are one of the most unsafe modifications you can ever do with your vehicle. One, you’re messing around with the original function of a brake light, which is to project a bright, solid red light to signify that you are slowing down or stopping each time the pedal is pressed. Two, the contrast from your regular taillight is needed to make distinguishing a braking vehicle easier for following traffic, and some manufacturers even go as far as changing the shapes by creating a mix of vertical or horizontal bulbs. Finally, constantly blinking brake lights are illegal in every part of the world where vehicles are sold and driven on public roads. Are there such a thing as legal blinking brake lights? To some extent, yes. In more modern vehicles, the brake lights have two functions – a steady, brighter red, and a quick few flashes before going to a solid red. The blinking function only activates when the brake pedal is pressed quickly and hard during emergency braking situations. Ever hear of an emergency stop signal (ESS) feature in modern cars? That stop signal uses the brake lights to help supplement the hazard lights when coming to an emergency stop in order to warn vehicles following behind. Some motorcycles brands, such as BMW, are also experimenting with the idea of a dynamic brake light that blinks a few times when emergency braking is applied. The key difference here in all these applications is that the brake lights turn solid and steady after the initial warning blinks. There are two legal issues that arise with these constantly braking brake lights, the first coming from the Land Transportation and Traffic Code, and the second comes from Presidential Decree Number 96. The Land Transportation and Traffic Code states that “every motor vehicle shall be equipped with at least one lamp which shall throw a sustained bright red light visible under all conditions, even under bright sunlight, when the brakes are applied.'' While Presidential Decree Number 96 has this to say: “That it shall be unlawful for the owner or possessor of any motor vehicle to use or attach to his vehicle any siren, bell, horn, whistle, or other similar gadgets that produce exceptionally loud or startling sounds, including domelights, blinkers and other similar signalling or flashing devices.” The strobing brake lights in question can technically be considered as blinkers, since there is no distinction between those used by emergency vehicles and private vehicles as brake lights; it’s all up to interpretation. That’s two counts against these constantly blinking brake lights in the eyes of the law. It’s pretty simple, really. These strobing brake lights are dangerous because they go against everything we know about how car lights operate. 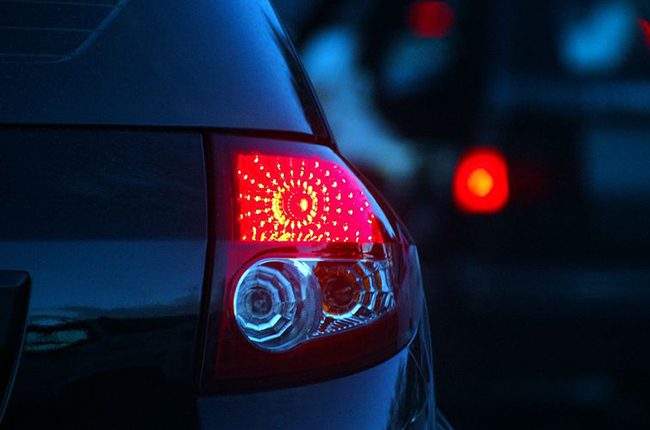 Every driver is trained to recognize the constant red from brake lights as a warning of slowing down or stopping, and the pattern of the flashing isn’t recognizable as the universal indicator for brake lights. Since they never switch to a solid brake light, we are left to only make out the center mounted third brake light, which is meant to supplement the standard pair of OEM brake lights. That small strip, combined with an annoying flashing pattern, creates an unsafe driving environment for following vehicles. These lights are blinding, distracting, and put you and the driver at risk for an accident. Our solution? If you encounter these lights on the road, it’s best to avoid following closely and change lanes. Of course, the longer term solution is to ban the sale and import of these things to begin with. Maybe it’s time for traffic enforcers to start handing out more tickets?